I’m really not a winter person. As the days get shorter, the nights longer, and the temperature drops, all I want to do is hibernate. I like to be lulled to sleep by a full chorus of cicadas, crickets, tree frogs, and the occasional whip-poor-will, so I find the winter nocturnal silence, with the occasional burst of bizarre and even blood-curdling noises, to be a lot less restful than the sounds of a summer’s night. As a sight-oriented human, I find it’s harder to describe the sounds of animals than their appearance, but I’ll give it a try with the help of some good references. The first sound that woke me up since the summer chorus went silent was a Gray Fox (Urocyon cinereoargenteus), making what is often referred to as “strange” sounds. While this native of Virginia may bark when threatened, its vocalizations can run the gamut of something out of Jurassic Park to a hawk’s scream or a hoarse cough—sometimes a medley of all these. heard all over Virginia, particularly at night. 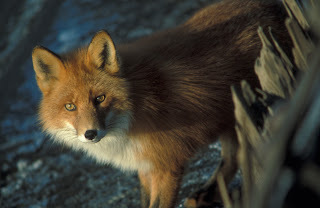 The Red Fox (Vulpes vulpes), which is not native to Virginia but is now threatening to crowd out its gray cousin, also has a hawklike scream and doglike bark, adding yips and some more exotic sounds—chattering monkeys, gobbling turkeys and a haunting, loonlike cry come to mind. If you hear a “bark” that is breathier and more consistent in pitch than a fox, it’s probably a White-Tailed Deer (Odocoileus virginianus). The vocalizations of the native Bobcat (Lynx rufus) and nonnative Coyote (Canis latrans) can add other dimensions to a winter’s night, none of them likely to lull you to sleep. The Bobcat’s range from piglike grunts to the yowl of a cat on steroids, to a scream similar to its larger cousins, the cougar and lion. The Coyote’s vocalizations are similar to that of a small dog yipping, barking and howling, with some sounds closer to those of a wolf. While I used to hear choruses of coyotes outside my door in the Northern Plains, I’ve yet to hear that here in the East. like a pony's whinny than a screech. 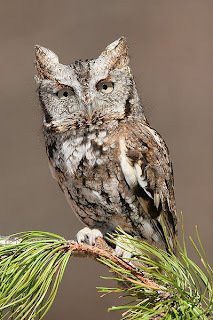 Then there are the owls, the earliest of the bird species to mate in Virginia. The small Eastern Screech Owl (Megascops asio), a woodland species common in Virginia and abundant here in Rappahannock County, makes less of a screech than a ponylike whinny that descends in pitch. Its repertoire also includes cooing similar to that of a Rock Dove (pigeon). At the other end of the owl spectrum in the Great Horned Owl (Bubo virginianus), the largest native owl in the Americas. At home in diverse habitats and also known as the Tiger Owl, its “HOO...HOO…HOO” is what most of us think of as the owl sound. 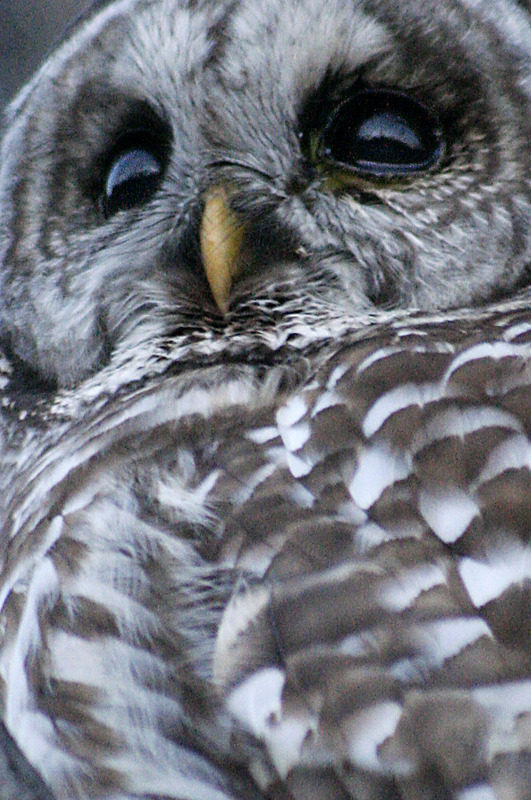 The Barred Owl (Strix varia), popularly known as the “hoot owl,” has a call similar but “more emphatic” than the Great Horned Owl, and is likely to close with an “aw,” according to Peterson Field Guides: Eastern Birds. Another woodland owl, it can also make doglike barks. The Barn Owl (Tyto alba) has what the Peterson guide characterizes as “a shrill rasping hiss or snore.” It also can make a chirping sound somewhat like a loud cricket. As its name implies, this bird is fond of roosting in barns or similar rural structures, since it prefers hunting in open country—farmland or grassland—along the edges of woods. The Northern Saw-whet Owl (Aegolius acadicus), the tiniest (2.6 to 3.5 ounces) and most elusive of owls in Virginia, is also the only one that migrates—leaving for more southern climes by early December and showing back up in February. As an article in West Virginia Wildlife Magazine aptly put it, its call is “an incessant, monotonous TOOT…TOOT…TOOT…TOOT…TOOT…TOOT…TOOT...much like the back-up alarm on a garbage truck!” This woodland owl’s migration flyway goes through the Shenandoah Valley, and it occurs elsewhere in Virginia, too. Sometimes it’s hard to tell if you’re hearing the “normal” call of a nocturnal predator or the last scream of its prey. The Eastern Cottontail (Sylvilagus floridanus) is not prone to vocalizing but ill squeal or shriek, especially in distress, and is a favorite prey of several nocturnal predators. Since hearing these sounds is the best way to learn to recognize them, I often head online to find recorded versions. While there are myriad CDs and special audio devices that provide bird vocalizations, recordings of other animals are not as plentiful. The best site I’ve found is Cornell Lab of Ornithology’s Macaulay Library (macaulaylibrary.org), which also has video. 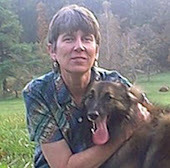 Animal-vocalization expert Lang Elliott has several wonderful nature-sound books that come with CDs, including A Guide to Night Sounds: The Nighttime Sounds of 60 Mammals, Birds, Amphibians, and Insects. His websites, Music of Nature (www.musicofnature.org) and Nature Sounds (www.naturesound.com), also have these sounds, plus videos. As thrilling as the animal cries on a winter night can be, I yearn for the return of the soothing hum of cicadas in the long, steamy nights of summer.